Joe Mauer officially retired from baseball Monday after 15 MLB seasons — all with the Twins, of course. The debate over Mauer’s legacy, and particularly his Hall of Fame credentials, will play out over the course of the next several years. Myth 1: Target Field contributed to Mauer’s demise. A popular narrative is that Mauer’s career decline was due in part to the Twins changing home ballparks from the Metrodome to Target Field between 2009 and 2010. But while the contrast between those two specific seasons can’t be ignored, the overall picture suggests the ballpark wasn’t much of a factor. 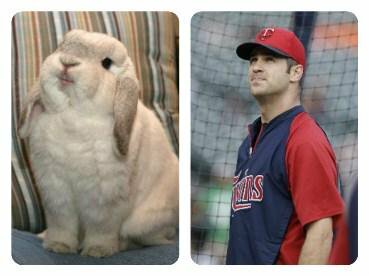 OK, first the obvious: Mauer was an MVP with a career-high 28 home runs in 2009, the Twins’ final year in the Dome. He hit 16 of those home runs at home, and fans remember every one of them barely clearing the wall in left field. In 2010, he dropped to nine homers – with just one coming at seemingly pitcher-friendly Target Field. But his home run rate at Target Field in his two other healthy seasons there – 2012 and 2013, after “bilateral leg weakness” and before his first concussion – was one every 57 home at bats. From 2004-08, he hit one home run every 52 at bats at the Metrodome. He was a career. 334 hitter with runners in scoring position, including .378 with the bases loaded. With two outs and runners in scoring position, Mauer hit .321 with a .943 OPS. Mauer was plenty clutch. While it’s true that Mauer, a left-handed hitter, was pretty good against lefties, there was still a pretty sharp lefty-righty split in his career. That showed up mainly with power, as he posted a .466 slugging percentage against righties compared to .381 against left-handed pitchers. Mauer had roughly twice as many at bats against righties as lefties and hit more than three times as many homers against righties (110 to 33) in his career. Mauer even joked during Monday’s news conference about this (in)famous quality. But for his career in 6,930 at bats, Mauer put the ball in play on the first pitch 384 times — with a swing and miss or foul coming on countless other occasions. With Butler deal official, what's next for Thibodeau and his Wolves? Hartman: Is Mauer the most successful athlete from Minnesota?